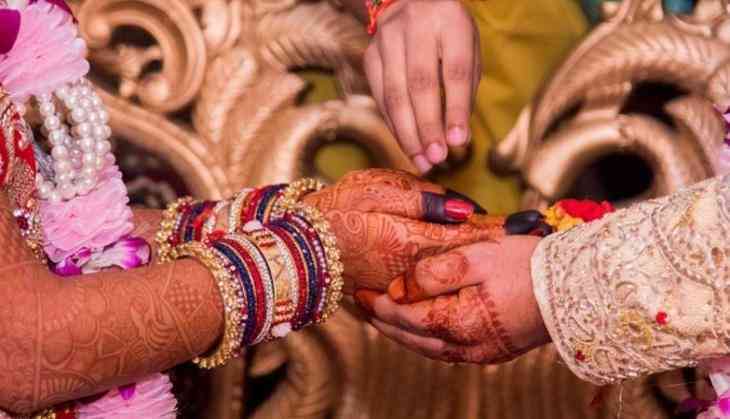 The Meghalaya government has made it mandatory to furnish marriage certificates by married couples for all official purposes, an official said today. The government has issued instructions to all government departments to ensure that individuals submit the certificates for all official purposes, registration department under secretary B Syiemlieh said in a letter to social activist Michael N Syiem. "The government has made it mandatory for married men and women to furnish marriage certificates for all official purposes as notified under the Meghalaya Compulsory Registration of Marriage Act, 2012," the official said. The social activist, who spearheaded a movement for compulsory registration of marriages in the state, had written to the chief minister earlier this year seeking immediate implementation of the said Act in view of the fact that cabinet approval of the rules had been accorded in 2015. He argued that compulsory registration of marriages would solve the issues of increasing number of broken families and various other social problems. Besides empowering women, he said women here were often unceremoniously left by their husbands and there was no law to compel the latter to provide maintenance to the wives and children.